Great Value proposition on a Sports Bar and Grill Opportunity! Located in Folsom close to high density retail area on Major Street. Great Demographics with high income, lots of traffic giving business pleanty of Excellent Visibility from the street. This is a “Turn Key” business or bring your own concept. This could be a nice Bistro or just about any Restaurant concept...seller invested over $75K in FF&E, including new plumbing, ADA compliant bathrooms and bar (Buyer Needs to Verify), New Flat Screens. POS system and much more. Currently open 6 days a week. Menu: Traditional Pub fare with Appetizers, Salads, Wraps, Hot Dogs, Burgers and pub pleasing entrees. Nice Bar and Separate Game room could also be used as a lounge area, addl. dining or private party space. 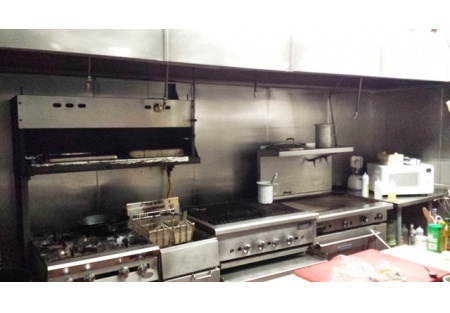 Kitchen: Large Full Hood system, walk in, grill…can handle just about any menu and a large number of covers. Lease: Great Rent… Rent $3,000 includes cam for approx. 2,300 sqf. This sports bar is newer and therefore priced to sell based on assets and liquor license. Reason for selling: personal reasons dictate sale. Seller will carry part of the purchase price for a qualified buyer. Please go to SellingRestaurants dot com to get the name and location of this business.